Auto Facility with all glass store front. 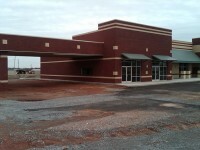 Includes repair bays and offices. 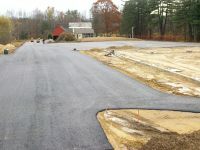 Auto repair shop construction video. 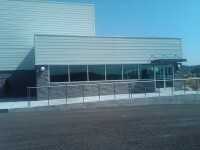 The steel building includes wainscot walls, entrance awning, rock facade retail front, and overhead sectional doors. Video showing the main construction phases of erecting a steel / metal building. Auto body shop construction video. 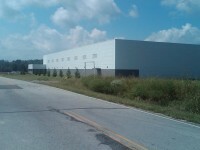 The steel building auto body shop and offices. 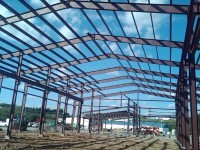 Video showing the steel building construction of auto repair building project. 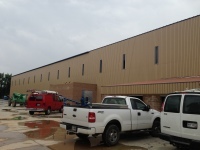 This video shows the interior and exterior of the steel building. 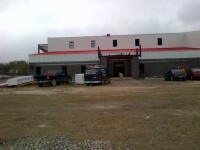 This video shows the construction of our maintenance facility project. You will notice in the video the building has a rock façade wainscot wall. The entrance to the lobby and office area features an awning system.